This is the Street Fighter II 2 SNES Super Nintendo Game Cartridge Cleaned Tested and Guaranteed to Work! 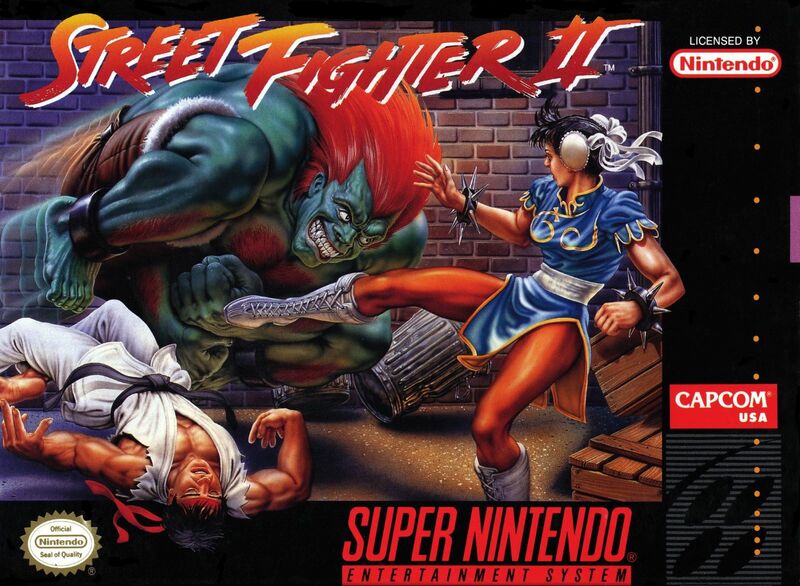 The introductory edition of Capcom's genre-defining fighting game is ported to the Super NES system as one of the most anticipated and popular console releases of all time. Two-player combat, all of the characters as well as all four bosses, every one of the classic stages and music themes - the arcade great came home with this version. 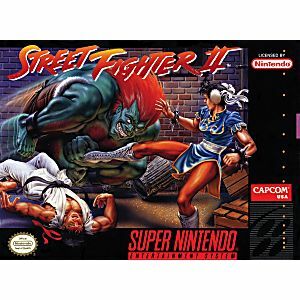 Although this SNES game was not based on any of the subsequent SFII editions from arcades (Street Fighter II Turbo: Hyper Fighting and Super Street Fighter II were later brought over to SNES from arcades,) this edition did have all of the system upgrade fixes implemented (Guile's "handcuff" cheat, for instance, was cleaned out for the port) and there was a code to play as the same color-swapped fighter in multiplayer bouts. This game is a Jewel!! Reminds my chilhood. This is a staple for any collection. It is an instant classic. Top notch controls and stellar graphics! Received earlier than expected. Great condition. No issues at all. Keep up the excellent service and products. I redeemed my lukie points for this game and it was worth it! This game is a classic! It brings back so many memories of my childhood! One of the best fighting games of all time! It came in great condition! Thanks Lukie games! I love playing this game! It is fun and addicting to play! Classic game, great to play with a friend. Of course Lukie Games pulled through and the game arrived in good time and great condition. I remember back in the day, this was THE fighting game. I'm so glad lukie games had it, and at a great price! Game came pretty much flawless, just popped it into my SNES and started playing - didn't even have to blow on it! 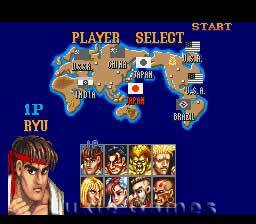 This is the ORIGINAL Street Fighter 2. Very good game; even if it does not have all of the characters and skins. Looking forward to replaying this game. I'm thinking about getting all three versions to master. No words to describe the feeling I have for this game. The best fighting game of all time! Unfortunately, our Super Nintendo system went on the blink after purchasing this game so we haven't had a chance to actually play it.. but Christmas is coming.. anyhow, I am sure it is great!!! First time purchaser, but happy with delivery timing and prices. Will definately order from Lukie again! I don't remember being more excited for any game to come out on a console than this one. I remember the summer before 6th grade and just going down the street to read Electronic gaming monthly for all the previews of this game coming out. 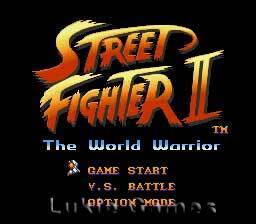 When SF2 did come out- I think I was playing over 10 hrs a day for the first month. This is definitely a piece of video gaming history and a part of virtually every childhood for people who are 30-35 yrs old right now.